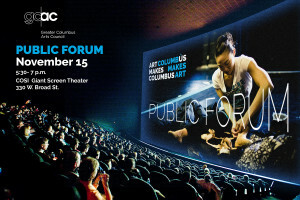 The annual Public Forum is intended for artists, nonprofits, creative businesses, funders and anyone interested in the role the arts play in making Columbus a great city. 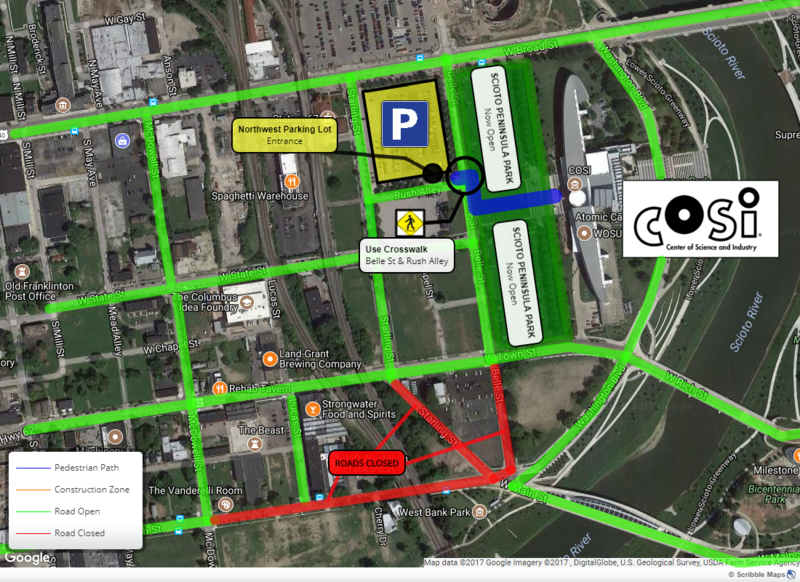 Parking available in the surface lots at Belle and Broad. 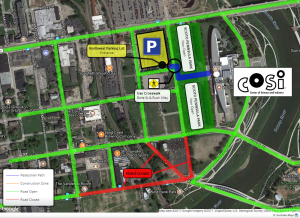 Please note the underground garages under the new park at COSI will NOT be open for this event, but the park is open to cross to the west entrance of COSI.